Hello there and welcome to the last day of the Clearly Besotted Teasers. All the products will be available to purchase in the shop tonight at 10pm. 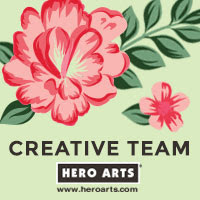 For my teasers today I am sharing two new stamp sets and matching die collections. 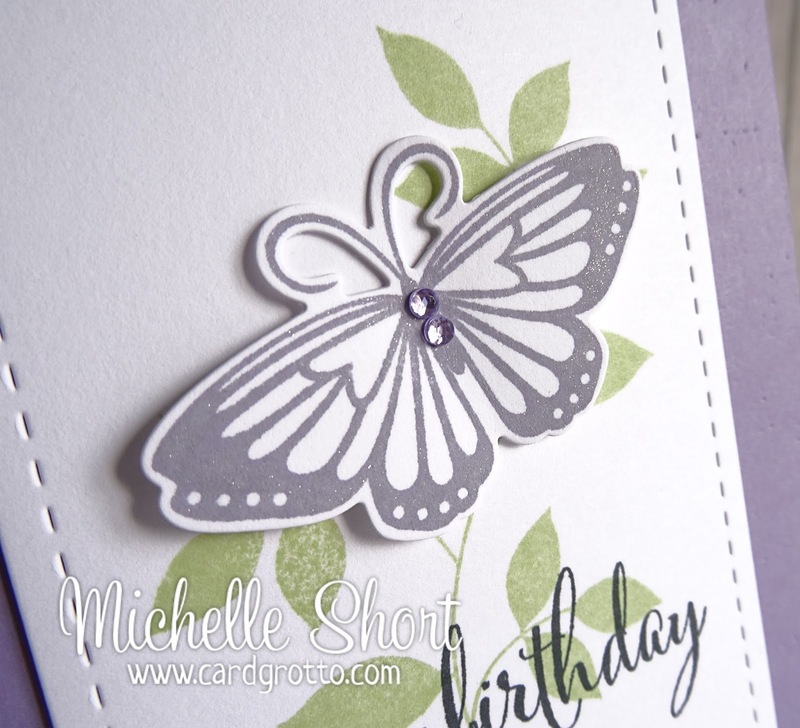 My first card uses the gorgeous new Elegant Butterflies and matching dies. 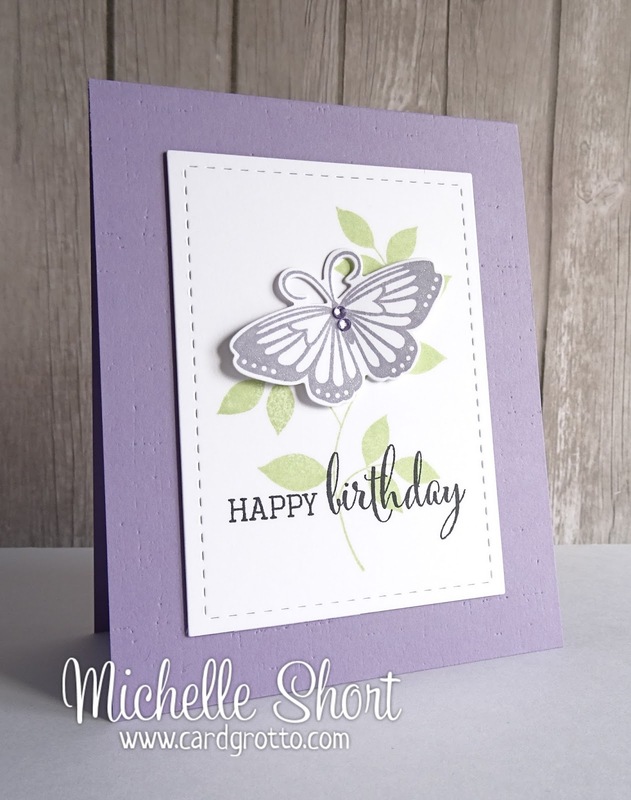 I have first taken one of the butterflies from the set, stamped it with PTI Winter Wisteria ink and cut it out. I have then added Wink Of Stella to it and a few gems. I have cut a Lil' Inker Designs Stitched Rectangle from white CS and stamped the larger leaf image from the Leafy Accents set on it with PTI Spring Moss ink. I have then stamped the sentiment from the Fabulous Fuchsias set (told you I loved it!). The panel has been added to a card base made from PTI Winter Wisteria CS which has been embossed using the PTI Linen Impression Plate. The butterfly has been added on top with 3D foam to its wings. For my last teaser card (which ended up rather difficult to photograph), I am sharing the new Lovely Labels stamp set. This is such a versatile set, you will love it! I have first taken a white card base and used the PTI Linen Impression plate on it again. I have then stamped one of the labels images using VersaMark ink and then heat embossed using iridescent sparkle embossing powder. This has been cut out using the matching die and added to the base with 3D foam pads. 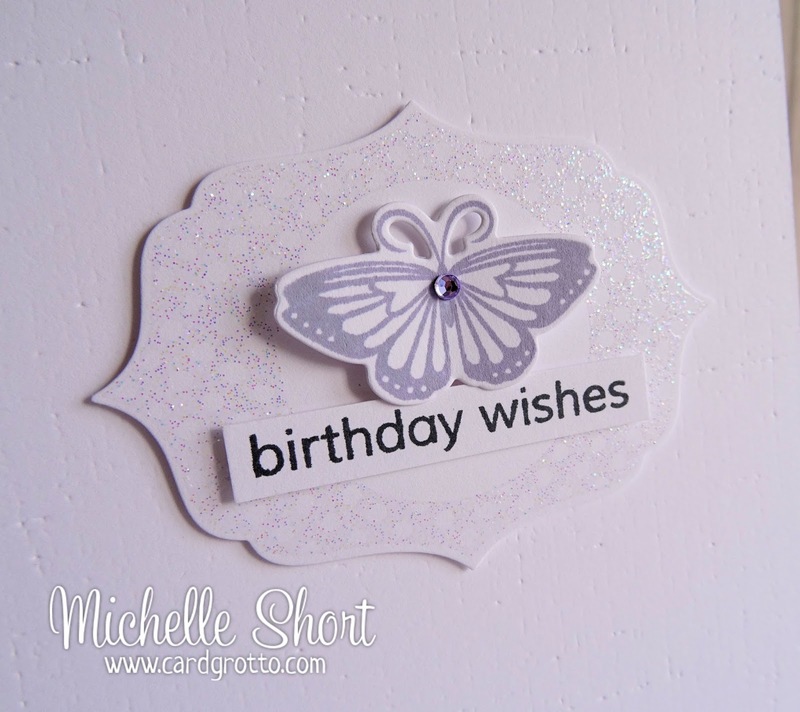 I have then stamped another of the butterflies from the Elegant Butterflies set and cut this out also. The sentiment, also from the Lovely Labels set has been stamped and then cut out and popped on to the card. 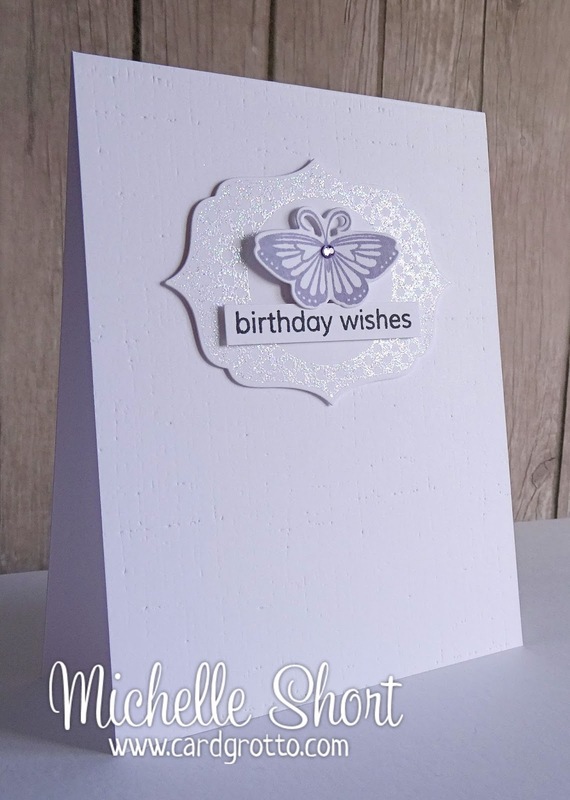 I love the white on white look with just the little pop of colour from the butterfly. Stephanie will be sharing the entire release with you shortly as well as links to my teamies who are sharing today. I will also be back later with my release video. Thanks for stopping by! Hi Sarah, I have left a comment on your blog. I only have a Cuttlebug and I need tan mats to be able to use the PTI Impression Plates. I am not sure what you would need for the Big Shot but I think Nicole Heady has a tutorial on her blog. Hope that helps! Beautiful card. I love both the elegant butterflies and the fabulous fuchsia sets. Actually I think I love them all from this release. 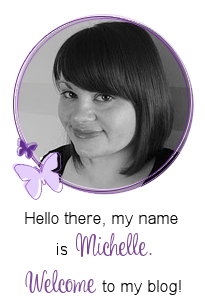 A duo of beauty here, Michelle! 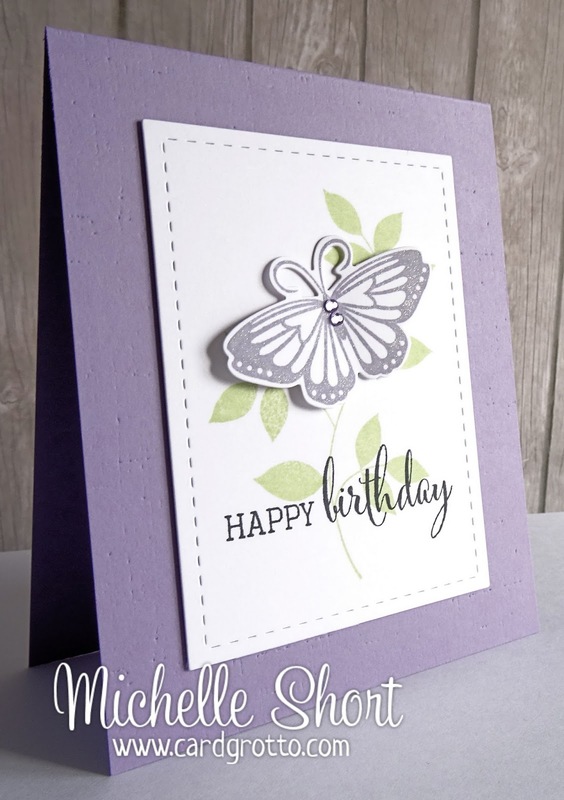 Love the soft lilac, and the butterflies have me smitten! Fabulous showcase of the new release! Gorgeous cards Michelle! I love the white on white look. Stunning cards Michelle. I LOVE the butterflies and such inspiring CAS designs. Simlpy adore your style. And the way you execute you designs is fantastic.